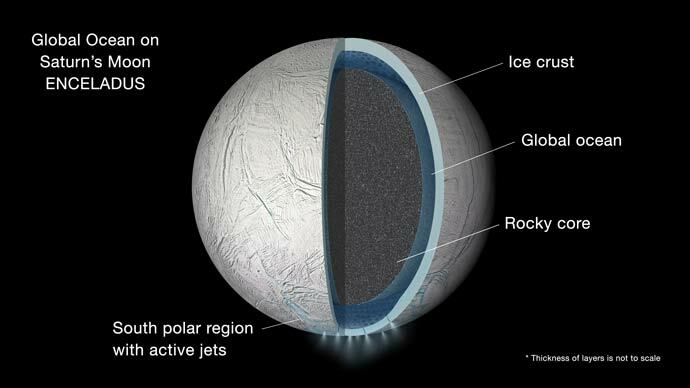 The mechanisms that might have prevented Enceladus’ ocean from freezing remain a mystery. 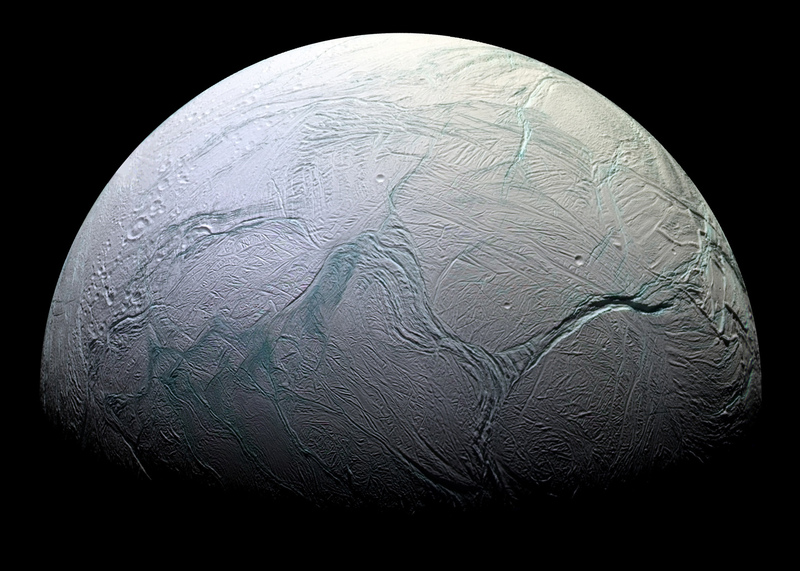 Thomas and colleagues suggest a few ideas for future study that might help resolve the question, including the surprising possibility that tidal forces due to Saturn’s gravity could be generating much more heat within Enceladus than previously thought. The unfolding story of Enceladus has been one of the great triumphs of Cassini’s long mission at Saturn. Scientists first detected signs of the moon’s icy plume in early 2005, and followed up with a series of discoveries about the material gushing from warm fractures near its south pole. They announced strong evidence for a regional sea in 2014, and more recently, in 2015, they shared results that suggest hydrothermal activity is taking place on the ocean floor. Cassini is scheduled to make a close flyby of Enceladus on Oct. 28, in the mission’s deepest-ever dive through the moon’s active plume of icy material. The spacecraft will pass a mere 30 miles (49 kilometers) above the moon’s surface. Have We Solved the Mystery of Io’s Misplaced Volcanoes?